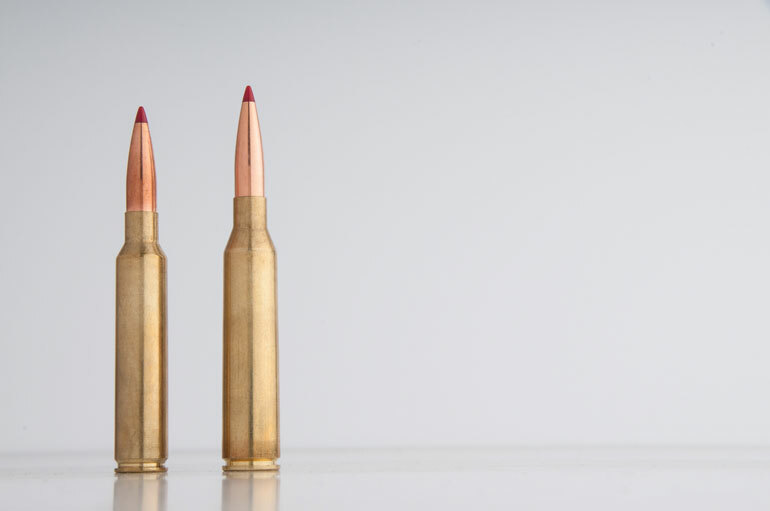 For ELR (extra long range) work, Hornady’s new .300 PRC cartridge (left) has an advantage over every popular 30-caliber magnum currently on the market. 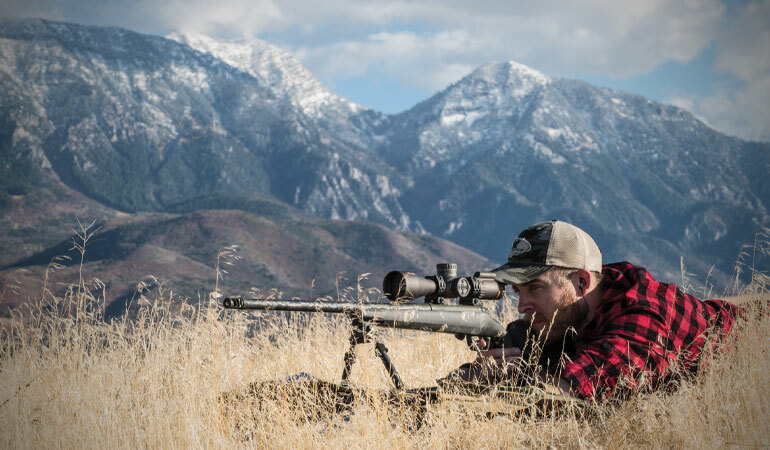 When it comes to hunting inside 400 yards, Hornady’s new .300 PRC cartridge does nothing more and nothing less than the passel of already existing .30-caliber magnums. It’s past that where it becomes significant. Designed specifically for ELR (extra long range) use, the .300 PRC is optimized for shooting way, way out there. It’s engineered to provide inherent accuracy and to offer ideal performance with heavy, aerodynamic projectiles that shrug off wind and maintain velocity better than common .308-diameter bullets. Hornady’s two initial factory loads feature the superbly accurate, extreme-BC 225-grain ELD Match, and the outstanding 212-grain ELD-X hunting bullet. A .375 Ruger necked down to .30 caliber, and spec’d with a very long throat so long, sleek bullets don’t have to be seated with their bases deeply protruding into powder capacity, the .300 PRC requires a long, true-magnum-length magazine box of 3.70 inches. Initial factory loads feature two outstanding high-BC (ballistic coefficient) bullets: Hornady’s 212-grain ELD-X and 225-grain ELD Match. The first has a BC of .673; the latter an eyebrow-raising .777. 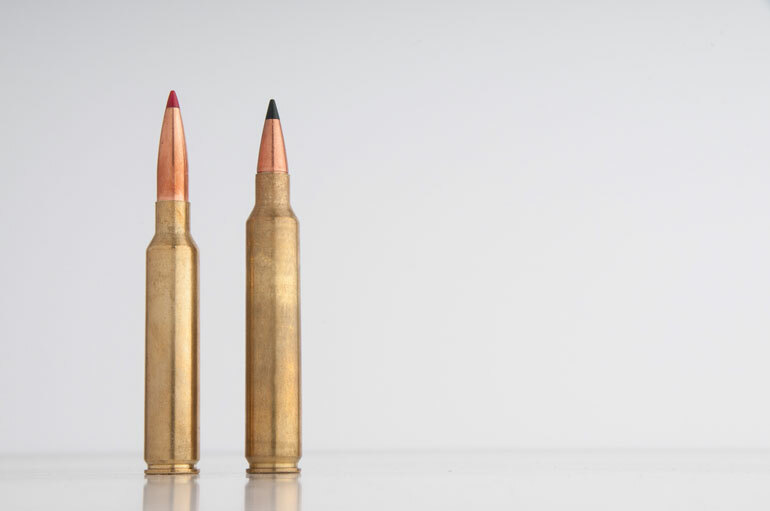 That’s approaching the coefficient of legendary .338 Lapua bullets, and it’s worth noting that the .300 PRC was in part conceived as a potential replacement for extreme-range sniper work; one that offers much friendlier recoil and muzzle blast. 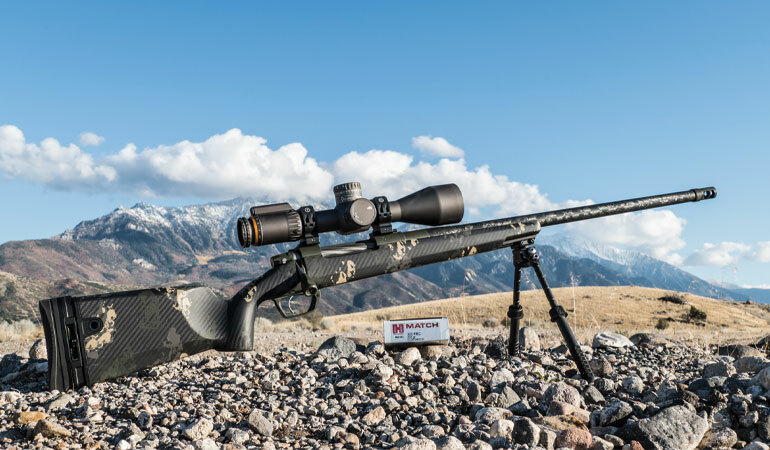 PRS shooter Ty Evans engages an 18x24-inch target at 1,844 yards with the .300 PRC in a Gunwerks Magnus rifle—successfully. To date, I’ve effectively shot the .300 PRC from 40 yards, at which I walloped a giant of a free-range Nyala while hunting with Crusader Safaris, out to 1844 yards, at which distance I peppered a 1 by 1.5 MOA rock with gratifying regularity. 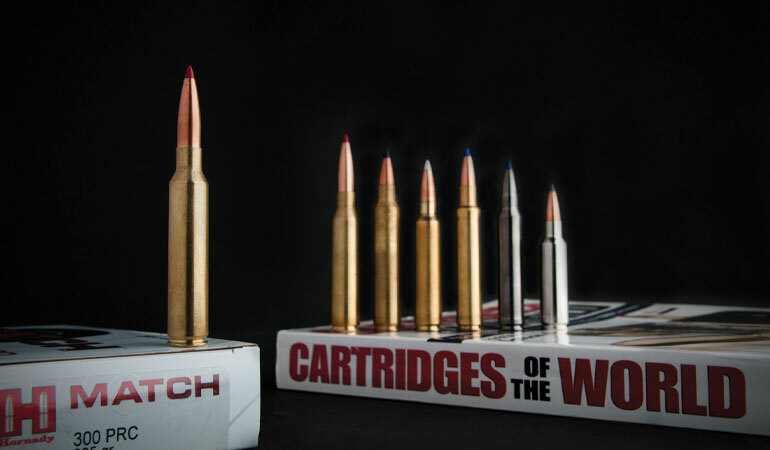 You can read more about the deep details of the cartridge, it’s concept and design, and it’s performance in the March issue of Shooting Times magazine. 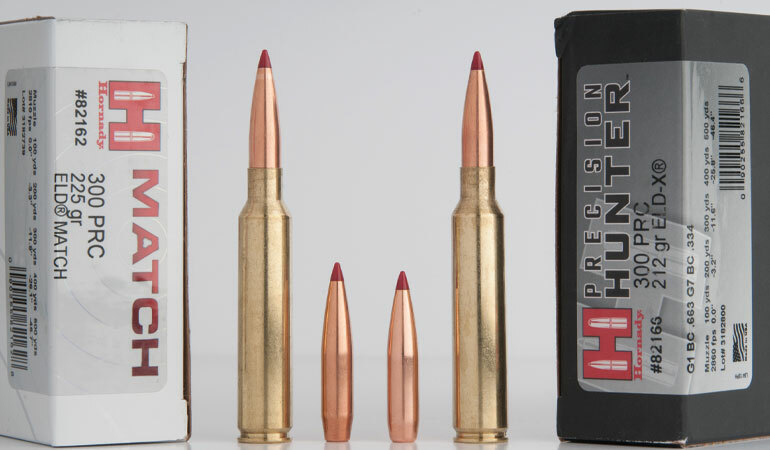 This particular article intends to highlight the .300 PRC’s advantages when compared directly to each of the currently popular .30-caliber magnums on the market. Let’s start with the most common of them all: the .300 Winchester Magnum. The .300 PRC’s parent cartridge is the .375 Ruger. It provides cutting-edge engineering with just-right propellant capacity. Although I love it, in pure technical terms I’m forced to admit the .300 Win. Mag. has many outdated design characteristics, starting with the entirely unnecessary belt and including its quite-short neck, which (in theory more than practice) provides a marginal grip on the bullet and can potentially allow concentricity inconsistencies. .300 PRC & .300 Win. Mag. 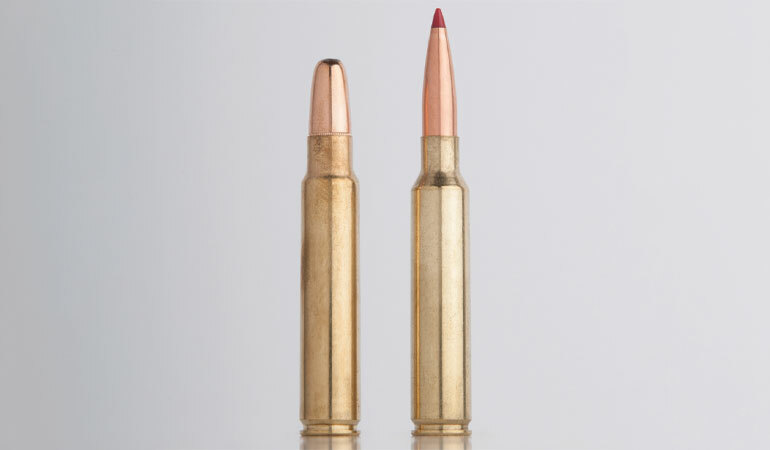 Its biggest disadvantage is a quite short 0.72-inch “head height,” which is the distance between the front of the case mouth and the cartridge’s SAAMI maximum overall length. 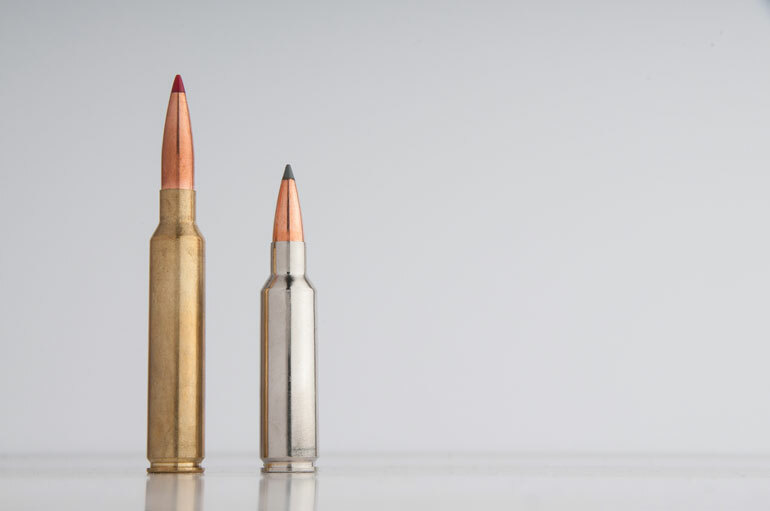 Ammo factories must load to this standardized maximum, which prevents factory ammo from being loaded with long, super-sleek bullets with the very fine, gradual entry that so benefits extreme-range aerodynamics. 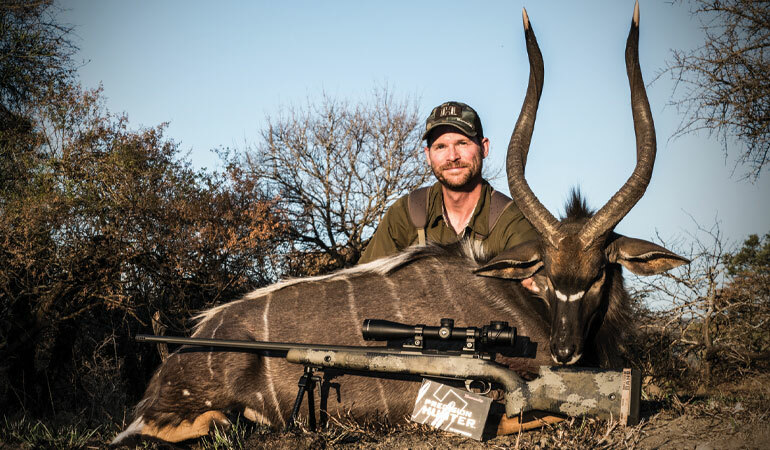 This fantastic 29.25-inch free-range Nyala bull fell to the .300 PRC during a pre-launch field test in the Umkomas Valley of KwaZulu Natal, South Africa. As an aside, custom rifle makers have been circumventing the head-height issue with the .300 Win. Mag. by chambering it in true magnum-length actions that allow handloaders to seat long bullets at optimum lengths. However, these rifles require handloading to realize full potential. That’s not to say that the .300 Win. Mag. is not a superb hunting cartridge. It is, and the ready availability of a vast spectrum of various loads and rifles makes gives it outstanding versatility. Although it’s certainly the second-most-popular .30-caliber magnum, this short fatty has two distinct disadvantages when compared to the .300 PRC. First, it tends to be finicky to feed, because short fat cartridges must tilt up from the magazine and transition into the chamber at much more abrupt angles than longer cartridges. Several premium rifle companies are already offering rifles chambered in .300 PRC, such as this Gunwerks Magnus and the G.A. Precision rifle used in Africa. Second, it too has a short head height, making it incompatible with very long high-BC projectiles. To be fair, the .300 WSM does offer one advantage over the new PRC kid on the block: If you want a very short, light .30-caliber magnum rifle, this is your best bet. Finished rifles will be around 0.75 inch shorter in the action, and barrels can be a short 22 inches and still provide full propellant burn. Just a year or so ago I wrote that the 30 Nosler was arguably the single best-designed .30-caliber magnum in existence. Today, I have to give that nod to the .300 PRC. As a matter of mirror-image fact, the two cases are extremely similar. The PRC’s solitary advantage is its longer head height and throat, which play nicer with extremely long, high-BC bullets. But if you have little interest in shooting past 600 yards, there’s little difference in performance between the two. 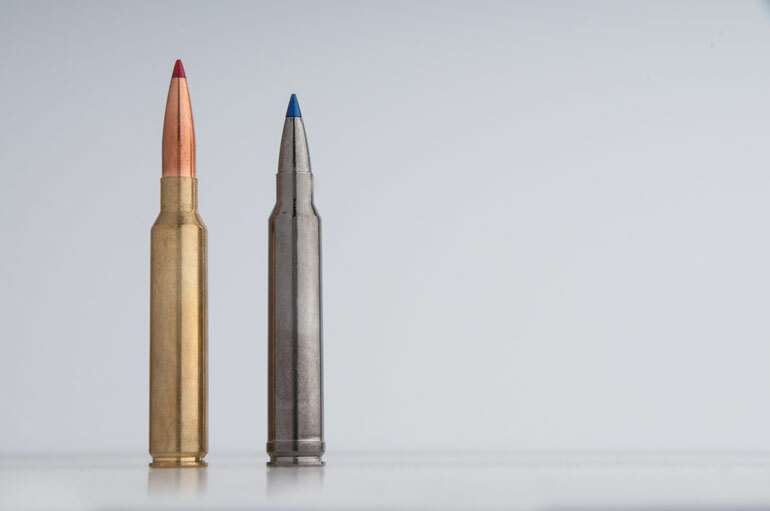 In fact, because it’s got a shorter throat that engages light-ish, short-shanked projectiles faster, the 30 Nosler actually may provide more consistent accuracy with popular deer-weight bullets. However, I’m constrained to confess the fact that I have absolutely no use for bullets lighter than 180 grains in any 30-caliber magnum. I’d rather have the better long-range capability provided by 200-plus-grain projectiles, so at least for me that’s a moot point. This beast provides more initial velocity than any of the previous cartridges discussed, and has proven to be an outstanding elk cartridge. However, it’s a bit too much of a good thing. Barrel life is short, and being aggressively overbore, the RUM can be finicky about accuracy. Plus, it kicks like a demoniac mule, and requires a full-magnum-length action even though it has a short head height. This last fact makes it incompatible with really long-nosed, fine-entry high-BC bullets. 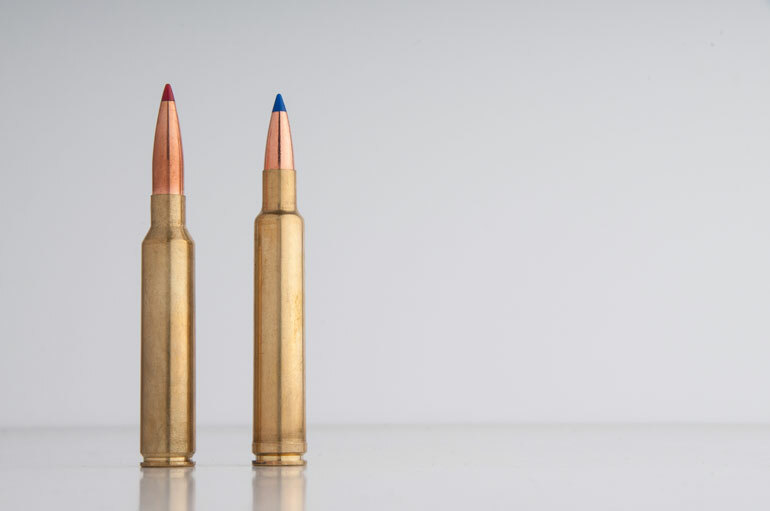 Why not just shoot a slightly slower cartridge that pushes heavy, sleek bullets optimized for long range, and which provides less recoil and more performance way out there? It hurts a bit to write this particular comparison, because I’m really partial to the .300 WBY. It’s got class, panache, and performance in spades, and is actually the oldest veteran in this group. However, like the .300 Win. Mag., it’s got some pretty outdated design characteristics. It wears the traditional-but-useless belt. It’s got a fair amount of case taper. And although it’s got a nice long neck that benefits concentricity, it’s got a short head height, making it less-compatible with ultra-modern long-range projectiles. Finally, it’s throat is reamed very deeply, which allows bullets to get a running jump at the rifling leade and prevents pressure spikes with aggressive loads, but can be detrimental to precise accuracy. Now this one is interesting. In many ways, it does what the .300 PRC does, and does it even better. It’s optimized for use with very long, sleek bullets, and pushes them significantly faster than the PRC does. Yep, it’s spec’d with a plentiful head height, too. Where this cartridge goes wrong is in the size of the case. It’s a necked-down .338 Lapua, and although it blasts those bullets out with wicked speed, the cavernous capacity of that gargantuan case is too much of a good thing. It’s not efficient at all, meaning it burns copious quantities of propellant. The result? Lots of recoil and muzzle blast. Worse, barrel life is short. ELR guys like to shoot, so poor barrel life is a significant problem. Also, the .300 Norma requires a really big action. It’s too much cartridge to fit inside most standard-size magnum bolt guns, and even if shoehorned in, you can only squeeze a couple of cartridges into the magazine. 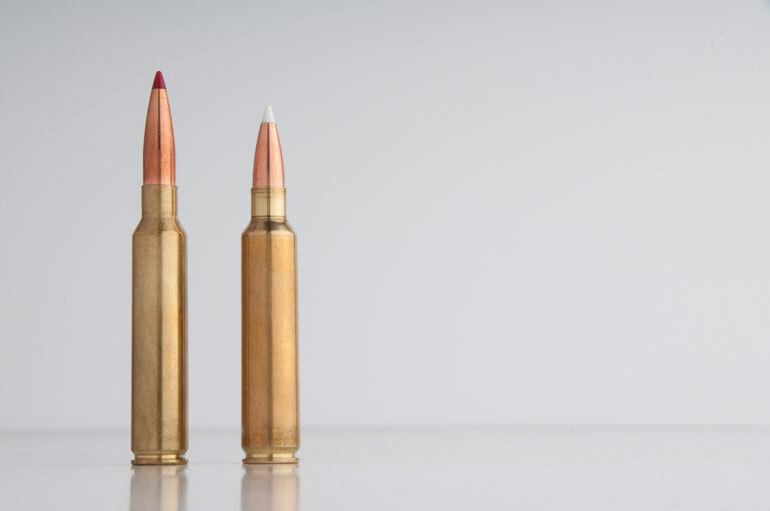 All things considered, the .300 PRC is a much more polite, civilized cartridge that is durned near as capable and offers far greater efficiency.